Quarterly or annual plans are offered to seal up openings around the foundation and along the roof line. Often times we also have to set traps if you begin to hear noises in the attic or see droppings in the basement. 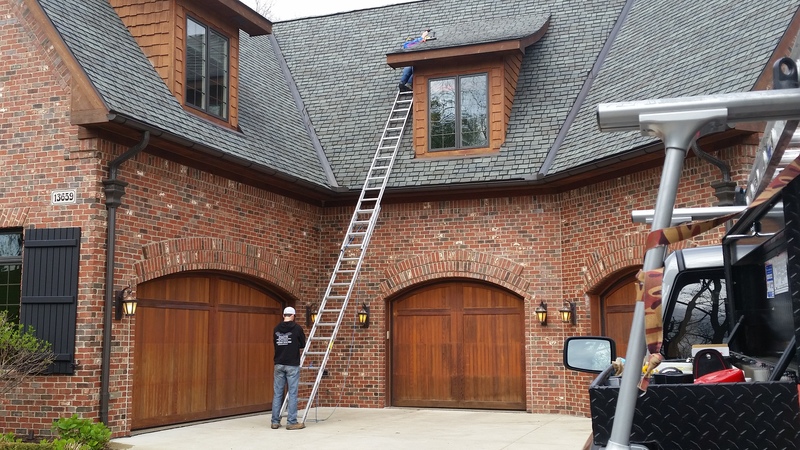 Maintaining a bat free home can be done with an annual inspection. We give a five year warranty on original repairs, but if new openings open up bats will get in. To keep your house bat free it is important to touch up repairs and fix any new potential openings. Every spring birds return to Michigan to make a nest for the summer. Keeping things sealed up and vents screened will keep birds out. We can return every spring to make sure your home is sealed tight to keep the birds out. If you have had bats, mice, rats, squirrels or other nuisance wildlife in your Macomb County, MI home then you know that they can fit through several different openings into your home. Maintaining your home is a good way to keep nuisance wildlife out. Due to most nuisance wildlife reproducing yearly and rodents twice or even three times a year, animal control is great way to keep critters out. Every year animals are looking to invade your attic and property. By redoing caulking, flashing eaves, and making sure vent screens are secure this can help solve future wildlife problems. We offer quarterly and annual maintenance programs to maintain your home and keep it pest free. Because of the inconsistent Michigan weather, houses are always moving, shifting, or new construction gaps appear. It is important to maintain a pest free home by maintaining the home and keeping things sealed. we offer preventative programs for wildlife including mice, rats, birds, squirrels, bats, a skunks, and all other wildlife. During our inspection for your specific maintenance program you will receive a written inspection and evaluation information sheet. If there are any new evidence of wild animals or birds entering the home we will take the necessary steps to get rid of your pest problem. Our goal is to maintain your home and keep pest out so no additional steps are needed. For more information on our preventative programs in Macomb County, MI and surrounding areas contact us today.